In a recent case in Singapore, the Court of Appeal examined whether punitive damages may be awarded for a pure contractual breach. PH Hydraulics & Engineering Pte Ltd (PH) designs, manufactures, and supplies heavy offshore machinery. In September 2007, Airtrust (Hong Kong) Ltd (Airtrust) entered into an agreement with PH for PH to design and supply a 300-ton Reel Drive Unit (RDU) to itself which would be used to lay undersea umbilical cables in the Bass Straits of Australia. Airtrust took delivery of the RDU in April 2008. During one of its operations, the RDU experienced a catastrophic failure and had to be repaired. During the course of repairs, it was discovered that there were a number of problems with the design and manufacture of the RDU. Airtrust alleged that PH had not only delivered a unit that was of poor quality and unfit for its purpose but had also been fraudulent in the manner which it had secured the relevant certification for the RDU. The Judge in the court below agreed with Airtrust that PH had breached the contract by failing to deliver a RDU that was of merchantable quality and one which was fit for its purpose (there was no appeal against this finding). The Judge also found that PH had been deliberately dishonest in the way it secured the relevant certification. Turning to the question of damages, the Judge noted that the apex court had in its previous decision of MFM Restaurants Pte Ltd v Fish & Co Restaurants  1 SLR 150 left open the possibility of awarding punitive damages in a pure contractual context. The Judge considered that on the facts, PH had acted in a “sufficiently outrageous and reprehensible” manner to justify the imposition of punitive damages (in the way PH omitted certain perimeters in the tests and how it only obtained a partial instead of a full certification for the unit). PH appealed against the Judge’s finding of fraud as well as his award of punitive damages. The Court of Appeal (CA), having examined the evidence, disagreed with the Judge’s finding that PH had acted fraudulently. At the most, the CA thought that PH was grossly negligent but there was no element of fraud in its conduct. That said, the CA went on to consider whether punitive damages may nonetheless be awarded for a breach of contract even if there is no finding of fraud. And if so, under what circumstances would punitive damages be awarded. The starting point is that, as a matter of law, punitive damages are allowed in tort but not in contract. Only where there is concurrent liability in tort and contract would the court award punitive damages if the circumstances warrant so. In the present case, the CA was asked to consider if the court can still award punitive damages where there is no concurrent claim in tort. There is an inherent distinction between contract and tort. Contractual duties are voluntarily assumed by the specific parties involved whereas liability in tort is imposed by law as a matter of policy considerations and on persons generally. The element of agreement in the contractual context means that court should play a minimal role in disturbing the bargain which parties have both agreed (and the sanctions and penalties in the event of a breach) and should be wary of supplementing that with its own notion of what is fair or just. In contrast, the law of torts imposes standards of normative behaviour between complete strangers (for instance, by the imposition of duty of care on persons in certain proximity in the tort of negligence). And even then, the imposition of punitive damages in tort is the exception rather than the norm – only exceptional circumstances would justify an award of punitive damages. Damages for mental distress – particularly if the purpose of the contract itself is to provide peace of mind or freedom from distress. The standards of what would be considered an “outrageous” breach of contract to permit an award of punitive damages are too uncertain and would harm commercial stability. Commercial activities are, after all, built on self or vested interest as the main consideration. The Supreme Court of Canada awarded punitive damages in a pure contractual context in Whiten v Pilot Insurance Company (2002) 209 DLR (4th) 257 (“Whiten”). In that case, the Canadian apex court found that the insurance company had engaged in “stonewall tactics” to deny the legitimate claim of a policy holder whose house was destroyed in a fire. The apex court upheld the award of C$1 million in punitive damages in addition to compensatory damages of about C$0.3 million. The Singapore apex court examined the Whiten judgment at length and concluded that the principles propounded by the Canadian court were unpersuasive, noting further that the decision had been subject to a number of very persuasive criticisms. 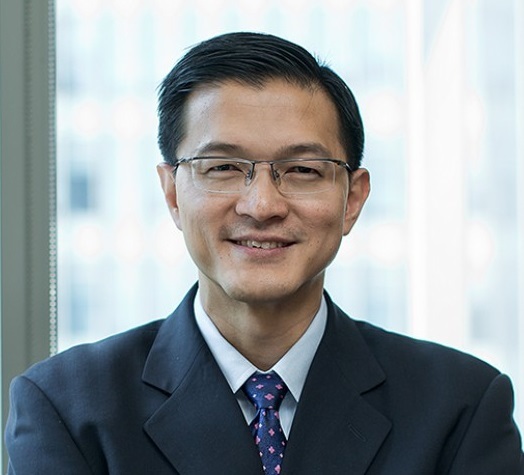 The present state of law in Singapore (as well as other common law jurisdictions with the exception of Canada) is that punitive damages are not generally awardable in a purely contractual context without concurrent liability in tort. That said, the Singapore apex court has not ruled out the possibility that a truly exceptional case may persuade it to hold otherwise, the present case unfortunately not being one. That said, parties who find themselves being subject to reprehensible conduct by their contractual counterparts may still, in appropriate cases, avail themselves of the other compensatory measures discussed by the court – namely “Wrotham Park damages”, an account of profits, damages for mental distress, and/or legal costs on an indemnity basis. New Rulings in Beijing – Will they make restructuring more difficult?